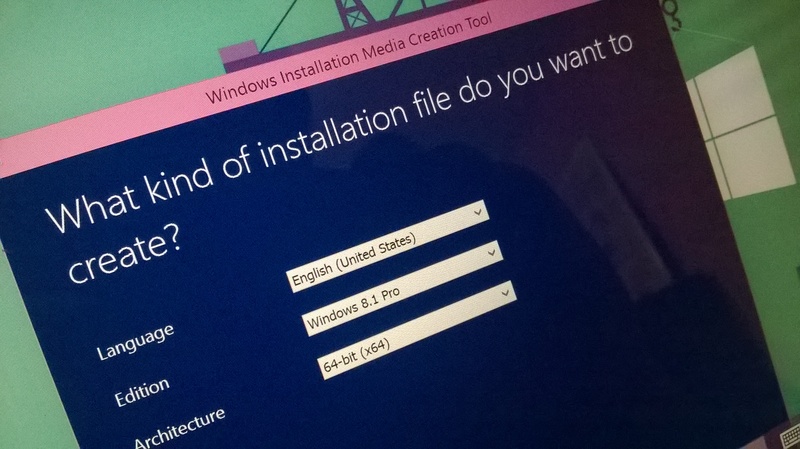 Note: This article is about downloading Windows 8.1 without a product key. To install the OS, you will still need to provide your key during installation. If you have lost your copy of Windows 8.1 and need to reinstall Windows on your PC, the good news is that Microsoft now allows you to download the OS without even requiring a product key. 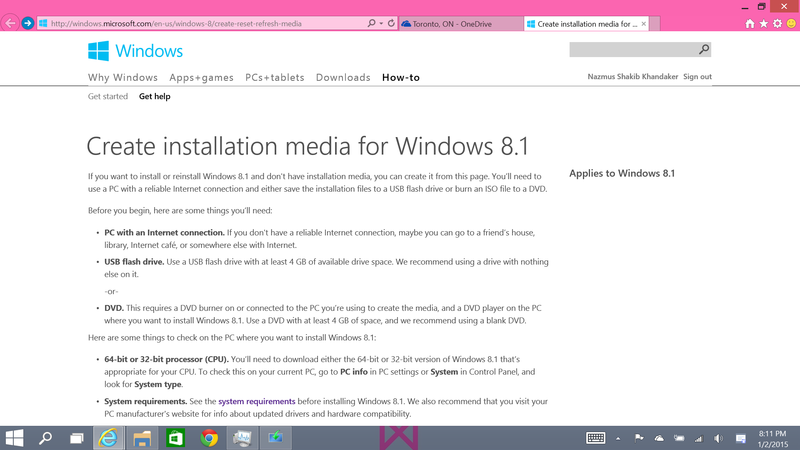 Even if you do have your original Windows installation media, you still might want to take a look at this because you will get most of the recent Windows updates integrated with the installer. Read on to see exactly how to do this. 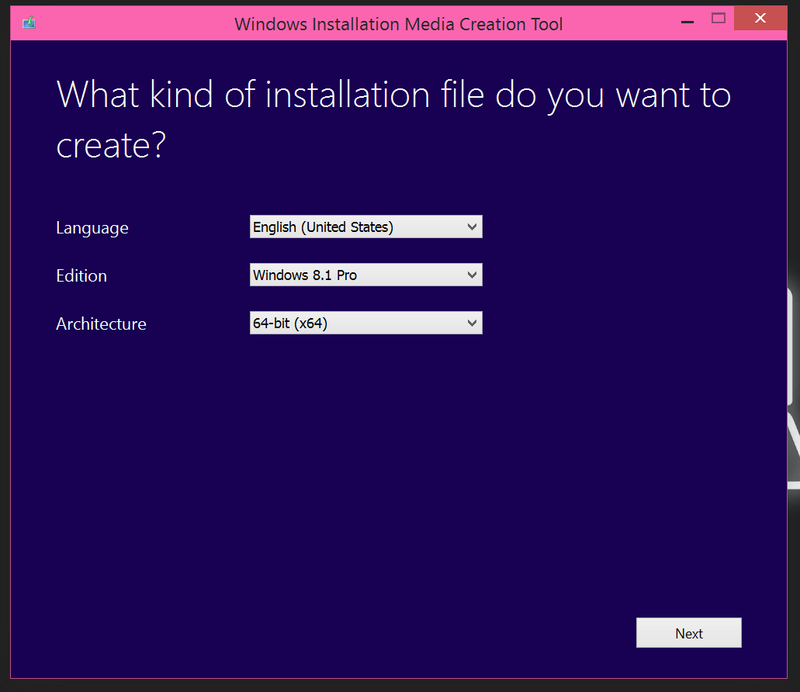 Step 2: Click on the “Create Media” button, and choose “Run”. You can also click “Save” to have quick access to the tool in the future. Step 3: When the tool runs, choose your language, edition of Windows, and the architecture. Make sure the option you select matches one for which you have a product key. When you try to install the OS, you will be asked for the key, and if your key doesn’t match the configuration you selected, the OS may not install. In my case, I choose “English (United States” for language”, “Windows 8.1 Pro” for edition, and “64-bit” for architecture. 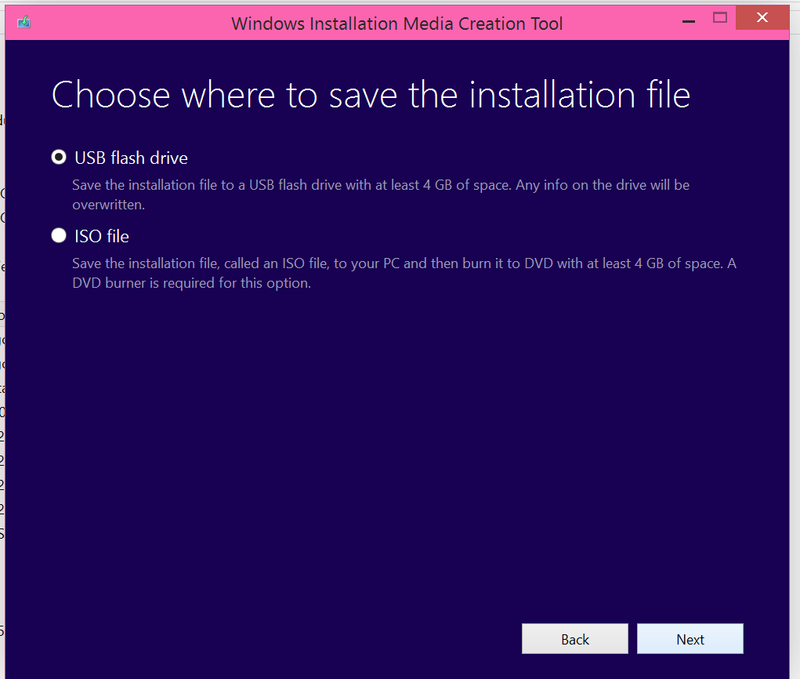 Step 4: You will be given the option to create a USB media or an ISO. To create an USB media, you will need to plug in a USB Key with at least 4GB of space on it. Warning: all files in the USB will be deleted. If you chose the ISO option, you will be given an image file of the OS which you can later burn to a DVD. You can also run the installer directly from the ISO without burning to a disk. I recommend choosing this option if you want to keep your media for later use. Once you selected an option, click next. Step 5: If everything goes well, the download will begin. Depending on the speed of your internet, this may take a long time. 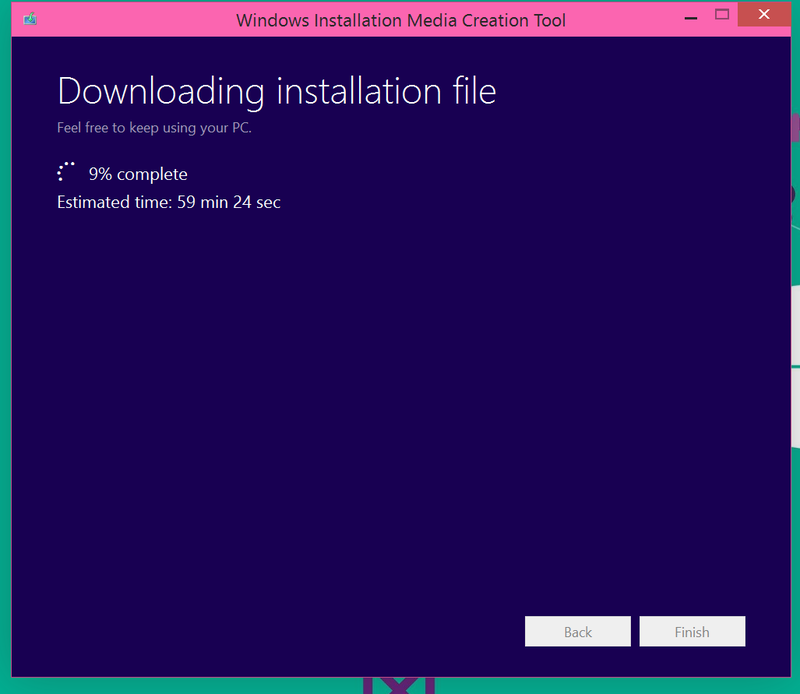 Once download completes, you will have a fully working installer to reinstall Windows at any time. If you have any questions, let us know in the comments below! Also, be sure to check out the video demonstration if you need help following along with the instructions. Can’t play video? Click here.